Today we’re super excited to have Lorraine Marwood visiting Alphabet Soup to talk about writing verse novels. 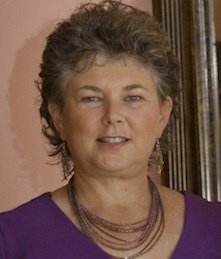 Lorraine is an award winning Australian writer of novels, verse novels and poetry for children. Lorraine’s latest book, Leave Taking, is about a boy and his family who are leaving their farm forever after the death of Toby’s younger sister. What bought you to write Leave Taking as a verse novel? That’s an interesting question. Often I’m asked if I write ‘normal’ stories, meaning all prose. The answer is yes I do — not everything I write is poetry or verse novels, except when the subject matter calls for a stronger emotional framework, then I use poetry. Sometimes it’s my natural voice; sometimes I sketch a character out in prose poetry much like an artist might sketch a character. Because Leave Taking has an emotional tug of saying goodbye to both a beloved place and a beloved family member, my natural instinct was to treat the story in a special prose poetry way. For me this technique is quick and it also provides different layers for the reader to climb on and it allows us to cry or laugh at the time the reader feels a heartstrings pull. A verse novel way of writing is like wearing a piece of comfortable clothing; I can confidently build an atmosphere and that is a huge gateway for me to enter the story. I have to feel the right atmosphere to plunge in. What do you find most challenging about writing verse novels? This way of writing does have pitfalls. For me it’s probably not to strike out in prose too much when it’s a blend of poetry and prose together. And to keep that consistency of words to a line and to write more rather than less, which I tend to do as a poet. I try to paint a bare sensory picture for the reader to experience and that allows them to come to the story with their own ideas and reactions. Do you have a tip for young writers who’d like to have a go at writing a verse novel? Start out with a tale you know well and cut it down and put your own slant on it. Try for short sentences and short phrases. Try to give lots of senses and details. Here’s a start of a well-known tale — continue on! Using first person voice is a good choice for a verse novel. banners flapping in the breeze. Now you continue on — try for 7 or 8 words a line. I have written a ‘normal’ big book, a fantasy, a genre I love. I have written another verse novel, which is under contract with University of Queensland Press, and always I write poetry and have some school writing workshops coming up. Thanks for asking me these insightful questions. And happy verse novel writing everyone — have a go! Interview answers © Lorraine Marwood 2019. Leave Taking has been shortlisted for the 2019 Children’s Book Council of Australia Book of the Year Award (Younger Readers category), AND shortlisted for the 2019 NSW Premier’s Literary Awards. You can read earlier interviews with Lorraine Marwood here. We’re very pleased to have Lorraine Marwood visiting us at Alphabet Soup today. Lorraine writes verse novels and poetry collections for children and she has a new poetry collection coming out in 2015. Here’s the cover in all its glory! Your earlier poetry collections have themes (‘notes’ and ‘animals’). Does your upcoming collection have a theme? Yes my new book does have a theme — ‘Celebrations!’ And the title reflects this. Celebrating Australia: a year in poetry. When you were writing poems for this collection , did you set out to write to a particular theme? Or did a theme emerge? Yes the theme began the collection and I began to research those celebrations that I had little first hand knowledge about — the journey was fascinating. How long did it take you to finish this book? About 18 months, some poems had to be re-written completely to suit the overall nature of the collection. 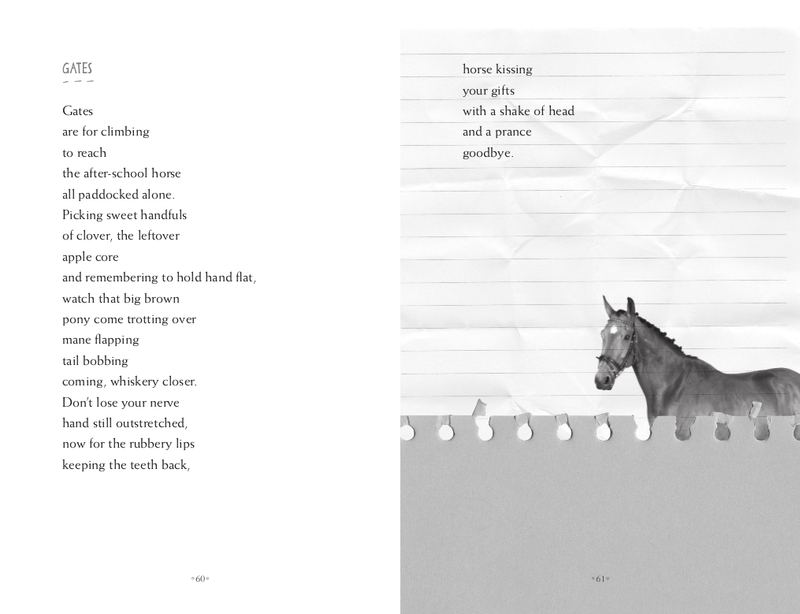 How do you choose which poems to include (and which poems to leave out) for a collection? I tried to make a variety of formats for the poems, including some with refrains, even one that rhymes, some humourous, some grounded in image and emotion. Do you have a tip for young writers who want to try writing in free verse? a crinkle of aluminum foil or a smudge of vanilla yoghurt. Have a go! Look at the sky right now and think of an object or a colour in your fridge or kitchen and liken the sky to that — it will make the sky more visual, more sensory, more striking for the reader and that’s what we want, to be different and move away from cliché. Sometimes rhyming leads us into cliché. Lorraine Marwood, reading Guinea Pig Town to some of her grandchildren. Is there anything else you can tell us about Celebrating Australia: a year in poetry? I loved the hard work put into my collection by my editor and the final finishing touches by graphic designer Amy Daoud. For me each poem was a mini story in itself — with its own research, own format, own rhythm and own beginning and end. I learnt so much about other culture’s celebrations and embraced the whole multi-cultural feel of Australia right now. I am planning for a launch with the Bendigo, Goldfields library in February, can’t wait! To find out more about Lorraine Marwood and her poetry and books, visit her website. And check out our other interviews with Lorraine here and here. Today we welcome Lorraine Marwood to the blog — Lorraine writes verse novels and poetry and you would have read several of her poems in Alphabet Soup! I began as a teenager, so probably 15 years old, but before that I was writing down ideas and little stories for many years. What sort of poetry do you like writing best of all? Poetry that doesn’t rhyme but shows in different ways a moment in time or an emotion, and still has all the strong features of poetry, like rhythm, strongest words, images, sensory details, emotion. What sort of poetry do you like reading? Contemporary poetry written by Australians; poems in The School Magazine, NSW; anthologies like 100 Australian poets, so I read many poets in the one book. Also poetry by young writers and I enjoy reading the results of the Dorothea Mackellar poetry competition. Where can we read your poetry? 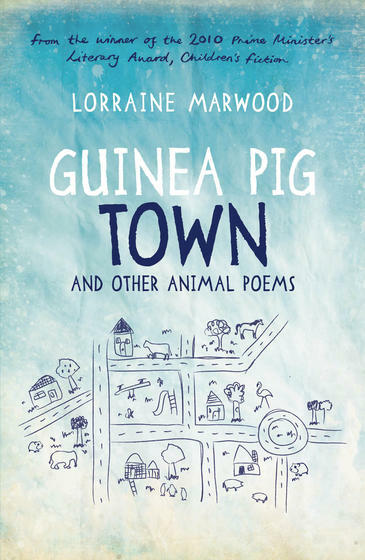 I have had six collections of poems published — the most recent one is Guinea Pig town and other animal poems with Walker Books Australia. I’ve had lots of poems published in magazines, here in Australia, UK, USA and Canada. And I always love to be published in The School Magazine and of course Alphabet Soup — well, I wish that was still going. Do you prefer to write with a pen and paper or straight onto the computer? That’s a good question. I like to write poetry with a pen in one of my current notebooks. I often write when traveling or out for the day. I can jot down ideas I see or an idea that strikes. Poetry to me needs this special touch, but for stories I type right onto my laptop. What’s your number one tip for budding poets? Keep a notebook you can take with you. Jot down anything that catches your eye. Train yourself to be observant, because the strongest writing uses those details that others skim over. 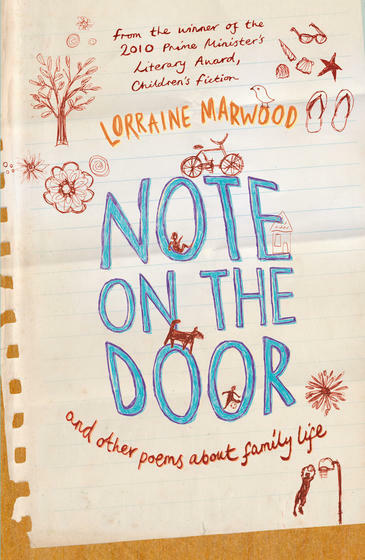 To find out more about Lorraine Marwood and her books and poetry, check out her website and read an earlier post featuring Lorraine. I have written many, many poems and had them published in places like The School Magazine in New South Wales (and Alphabet Soup of course) and USA magazine Cricket. I love the way a poem can become a little image of a snapshot of a moment in a day. I have two collections of poems published with Walker Books: A Ute Picnic and Other Australian Poems and Note on the Door and Other Poems About Family Life. I have just completed a third collection of poems with Walker—Guinea Pig Town and Other Poems About Animals and this will come out in 2013. I also like to write verse novels. 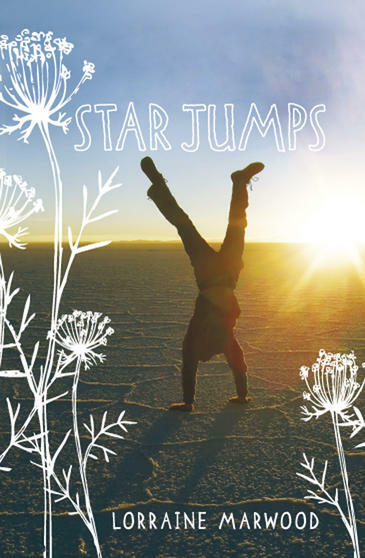 Star Jumps won the Prime Minister’s Literary Award (children’s category) in 2010, and Ratwhiskers and Me is set on the Victorian goldfields. Imagining what it would have been like to live in times gone by is another way of writing that I enjoy. I love researching and reading all about those times too. I never know when an idea will suddenly take hold and grow into a poem or a book. Look out for my Aussie Nibbles titles too—The Girl Who Turned into Treacle and Chantelle’s Cloak. I have a website all about my books, and a blog where I often write about projects and inspiration and travels. Walker Books also has notes on my books and each time I write a poetry technique so it’s often a good idea to look here also. My poetry appraisal/mentoring will contain feedback on what makes a poem stand out from the crowd, how to continue writing, where ideas for poems come from, tools that poets use, how to make a few words sparkle and dance, and suggestions for reading poetry, too. The winner will email me their poem of up to 15 lines (non rhyming and double spaced) for comment. 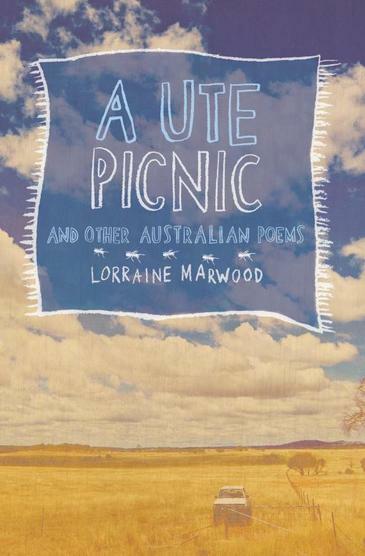 I will also provide a copy of one of my poetry collections A Ute Picnic and Other Australian Poems, and I’ll include some suggestions on how to pattern a poem from some of mine in the book. Children who have had poetry published in the Write On! section of a 2012 issue of Alphabet Soup are in the running for this fantastic prize. These children will be entered automatically. We will announce the winner on Friday and will contact the winner directly. If you’d like to submit your story or poem for possible publication in a 2013 issue of the magazine, read the submission guidelines on our website. We love reading all the work you send us and we really love publishing it, too. Sometimes we’re blown away by the amazing stuff we find in our inbox and our post office box. And that’s why we are thrilled to be announcing the inaugural ALPHABET SOUP CREATIVITY AWARD. If you are a child who had work published in the magazine this year, you are automatically in the running for this Award. (This excludes the winning pieces in the writing or design-a-cover-competitions). Most outstanding story—the winner will receive $50.00*, an ebook by Dee White, and a manuscript appraisal (professional feedback) from Dee White on a 500-word story they have written (not necessarily the story that was published in Alphabet Soup). Most outstanding poem—the winner will receive $50.00*, a book of poetry by Lorraine Marwood, and a poetry appraisal (professional feedback) from Lorraine Marwood on an unrhymed poem up to 15 lines written by the winner (not necessarily the poem that was published in Alphabet Soup). Most outstanding artwork—the winner will receive $50.00*, a book by James Foley, and an illustration appraisal (professional feedback) from James Foley on a piece of artwork (not necessarily the artwork published in Alphabet Soup). Read more about the award (including some fine print) on the Alphabet Soup Creativity Award page. Winter 2012 issue – out now! You have probably heard lots of talk about reading lately and that’s because 2012 is the National Year of Reading. Our winter issue celebrates the National Year of Reading (because we do love reading and we know you do, too!). Subscribe via our website (you can order single copies from the subscribe page, too). If you’re in WA, rush in to one of our WA stockists—Westbooks (Victoria Park) and Zero to Ten (South Fremantle) who will have copies of the winter issue to sell you from Wednesday 16 May 2012. Happy National Year of Reading! Alphabet Soup magazine is a proud partner of the National Year of Reading. 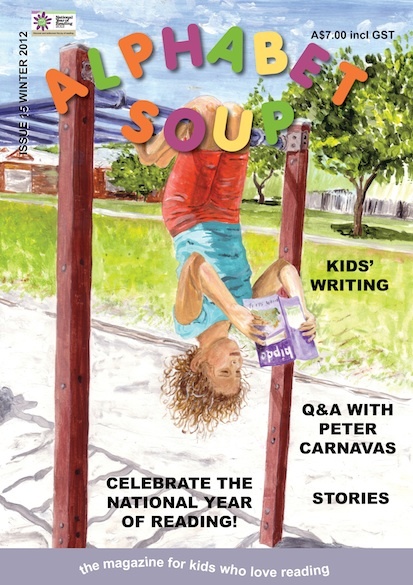 In every issue of Alphabet Soup magazine we print an interview with an author or illustrator. We can’t fit all their answers into an issue of the magazine, so we publish the full interviews on the blog—we wouldn’t want you to miss out! For issue 14 we talked to Lorraine Marwood. Lorraine is a poet, and the author of many books including Star Jumps, and Note on the Door, and A Ute Picnic. What made you become a writer/poet? I don’t think that anything ‘made’ me become a writer. It was a heartfelt feeling when I was about 8 years old—that was all I secretly ever wanted to do. And I never ever lost that longing. Or that passion for writing and reading. No not at all. It wasn’t till I was about 16 years old that my first poem was published and that was after much writing and submitting—but what a thrill it was. My first book of poems came after I’d had my children and was still farming. And it only came after I’d notched up publishing credits in literary magazines—a bit like an apprenticeship in poetry. Where do you get your inspiration and ideas? From everything happening around me—little incidents, nature, my family, newspapers, what I read and of course big doses of thinking and jotting down. Did you read poetry when you were growing up? My teacher read us classic poetry like Banjo Paterson, Wordsworth and we had a class reader for the year and we always read the poems in that (but as a teenager I discovered T.S. Eliot and a Russian poet called Yevtushenko). But we mainly read rhyming poetry which was also mainly English poets. Did you have a favourite poet/poem/book of poetry when you were growing up? T. S Eliot ‘The journey of the Magi,’ and also Australian Bruce Dawe. Is your poetry influenced by particular poets/writers? Yes, I think I’m influenced by those poets I really admire—like ee cummings, I love the freedom and rhythm of his work; Bruce Dawe’s Vietnam poem—‘They’re bringing them home’; T.S Eliot; Sue Cowling; ‘FiveBells’ by Australian poet Kenneth Slessor; Judith Wright; and now I read lots of children’s poets. I think I’m influenced by those poets who tell a story, a narrative, that surprise and use their poetic craft really well. I love to make things—sew, bead, garden, pot up cuttings, read, make cards, op shop—they are creative things to do (well, for me!) think, wonder, pray. Do you mostly write on paper or on a computer? Now that’s an interesting question because for poetry I like to write in one of my notebooks, but for stories I write on my laptop. Is there a difference in the way you approach writing a poem and writing a verse novel? Yes, a poem is a little unit on its own with beginning, middle and end. But a verse novel is many components that lead on and borrow from story telling—it’s a more ‘prosy’ way of writing, where a poem is tiny and delicious like a ripe strawberry. Are you working on a collection of poems or a book at the moment? I am working on another collection of poems—so for that, I need to aim for about 100 new poems. At the moment I’m thinking of section headings or groupings for the poems, a bit like chapters in a book. This collection will be entirely new. And as I write, I’ve already finished another verse novel—again entirely different from my other verse novels in content and for a slightly older age group—but awaiting the green light from my publisher. Do you have any advice for young poets? Yes, write whenever you can. Start with lists of what is around you—lines of three or four words, get all the details down and use those wonderful senses too. Keep these jottings in a note book, put the date on them and keep them. Look back over them and see if any ideas for a fuller poem can be found. Find out more about Lorraine Marwood and her books and poetry—visit her website, or check out a bookstore or library near you!